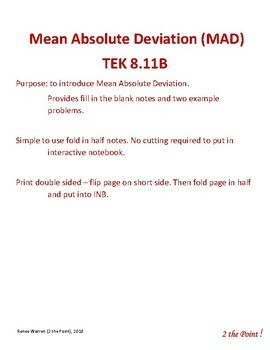 This simple to use foldable provides an introduction to MAD - Mean Absolute Deviation. 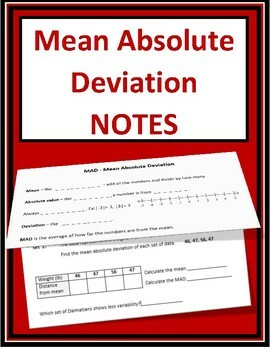 Students will take note and work two examples. Great for interactive journal. No cutting required. Simply fold the page in half. Fill in the blank notes includes vocabulary and examples. 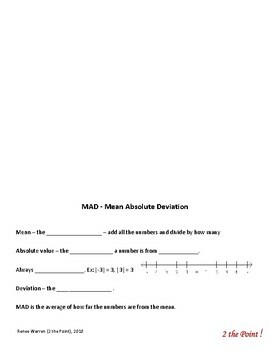 Includes blank copy and answer key.